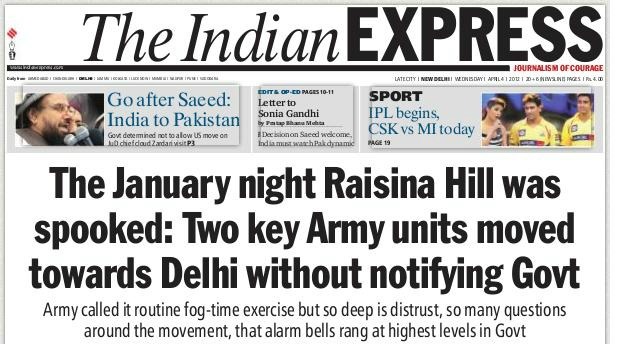 PRITAM SENGUPTA writes from New Delhi: The front-page, full-page report in the northern editions of The Indian Express this morning, that two units of the Indian Army moved towards Delhi on January 16, 2012—the day the Army chief V.K. Singh‘s petition before the Supreme Court on his date of birth was coming up—has sent New Delhi into a tizzy. The report, anchored by the paper’s redoubtable editor-in-chief Shekhar Gupta, with reporting from Ritu Sarin, Pranab Dhal Samanta and Ajmer Singh—that barely disguises its attempts to hint at a “coup” that wasn’t—has been stoutly denied by the ministry of defence and an official statement from the defence minister A.K. Antony is due. As the old saying goes, never believe a story until it is officially denied. Still, is the Express story a “scoop” throwing light on something that was hidden or unknown; a rehash of previously published stuff; or just plain Delhi-style “spin”, against the backdrop of leaks and plants that have been coming in a torrent in the crossfire between the outgoing Army chief and the “establishment”? To give Express its due, the three-deck, four-byline, eight-column banner headline suggests plenty of leg work. It gives the context, the background, the colour and indeed the intrigue around the Army movement. What blunts the edge somewhat on the Express story is that the Army manoeuvre was reported by Rediff.com’s R.S. Chauhan 22 days earlier—on March 13, 2012. What also muddies the waters is that the Army itself held an official briefing on the subject two days after that—on March 15, 2012—in Agra. So, regardless of the official denials, is the Express story a scoop, a rehash or spin? The Rediff story is vanilla reportage of an exercise by one military unit. It doesn’t mention anything about the movement from Hisar. And, of course, nothing about these units “moving” towards Delhi or the army not informing MoD about the exercises. So let’s give the Express its due — reporting an unusual set of events, connecting the dots and how the civilian political establishment viewed the development. But, of course, your point about any possible “spin”, given the current relations between the army and the civilian government, remains very valid. Or was the pro-establishment ‘Indian Express’ trying to pass an unsolicited talking point to the beleaguered government spokespersons and providing a service, similar to speech-writing? has india tv bought indian express? 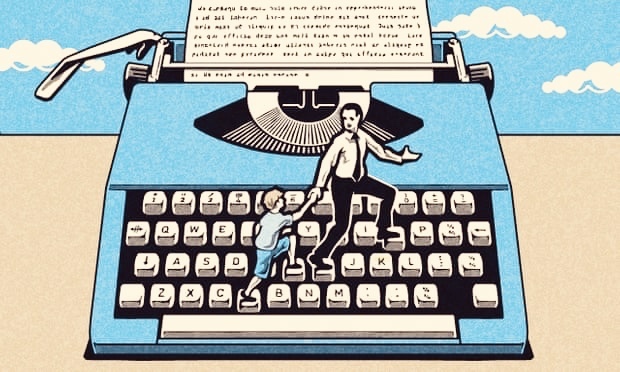 Let’s take some heart into the rise of “investigative” abilities of IE. This story shows more finesse than the CD-story (pun intended) about the Bhushans. I would have expected this story to come from the Tehleka, not the IE. But then, these days the IE too competes for proximity to establishment, not readership.